SURFsara, partner in ELIXIR-NL, has developed a Proof of Concept (PoC) of an ELIXIR supportdesk based on its national servicedesk model. The supportdesk assists users in ELIXIR ID and service registration using the ELIXIR AAI (Authentication and Authorisation Infrastructure). It is now ready to be further applied within ELIXIR’s European research infrastructure for life sciences. The national servicedesk consists of a helpdesk for user support (email, phone, ticket portal) and a service portal with registration & enrolment templates and documentation. The helpdesk uses a federated model, coordinating user support centrally and referring to expert desks at research institutes throughout the Netherlands. The national servicedesk model has been developed and is operational for TraIT services in data management and analytics. Currently, SURF is exploring the possibilities to implement the model in other research service applications such as ELIXIR. 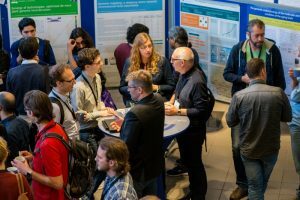 ELIXIR is a research infrastructure that brings together life science resources from across Europe. These resources include databases, software tools, training materials, cloud storage, and supercomputers. This infrastructure makes it easier for scientists to find and share data, exchange expertise, and agree on best practices. Ultimately, it will help them gain new insights into how living organisms work. ELIXIR’s AAI helps service providers decide who can be trusted with access to their services. In addition, it enables life scientists to use all ELIXIR services with their regular institutional login. The Dutch node in ELIXIR is coordinated by DTL and SURFsara is a partner in ELIXIR-NL, developing IT infrastructure components for ELIXIR. Together with its European partners, ELIXIR-NL is developing an ELIXIR supportdesk for support on ELIXIR services. • ELIXIR users are able to log in to the supportdesk using their ELIXIR account. • Anyone can request help with their ELIXIR ID registration. • Supportdesk users can track progress on their requests through an ELIXIR-customised ticketing portal. Since many partners are involved in ELIXIR, there are high demands on the organisation of the supportdesk for this research service application. The ELIXIR ID registration using an institutional account involves national organisations each with their own servicedesks (such as SURFnet) and identity providers at hundreds of institutes connected to ELIXIR that need to approve the ELIXIR connection. The ELIXIR AAI infrastructure is developed and supported by the Tsjech Republic. Using the national servicedesk model, support requests are easily registered and referred to support partners in second line. The proof of concept was successful and provides a model to be used for support on additional ELIXIR services. Outside of the Compute platform in ELIXIR, there has so far been little attention to professional support of the delivered services. Some other platforms could already benefit from this approach, e.g., the e-learning & training portals of the Training platform. This PoC support service is available for pilots. This work is financed through the ELIXIR Excelerate project, SURF innovation project Community Services, and TraIT/BBMRI. For more information and collaboration, please contact Ruud Ross.